Madrid (Spain) – January 26, 2018 (travelindex.com) – UNWTO Secretary-General Zurab Pololikashvili appointed Mr. Shanzhong Zhu as Executive Director of UNWTO. Mr. Zhu, a Chinese national, began his two-year term on 1 January 2018. 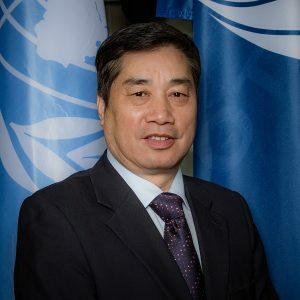 Mr. Zhu joined UNWTO in 2014 as Executive Director. Prior to his appointment he was Vice Chairman of China National Tourism Administration (CNTA).